If you’re a fan of the outdoors, the Kingdom has some of the most breathtaking places that will leave you in awe. We’ve put together a list of our favourite spots for you. 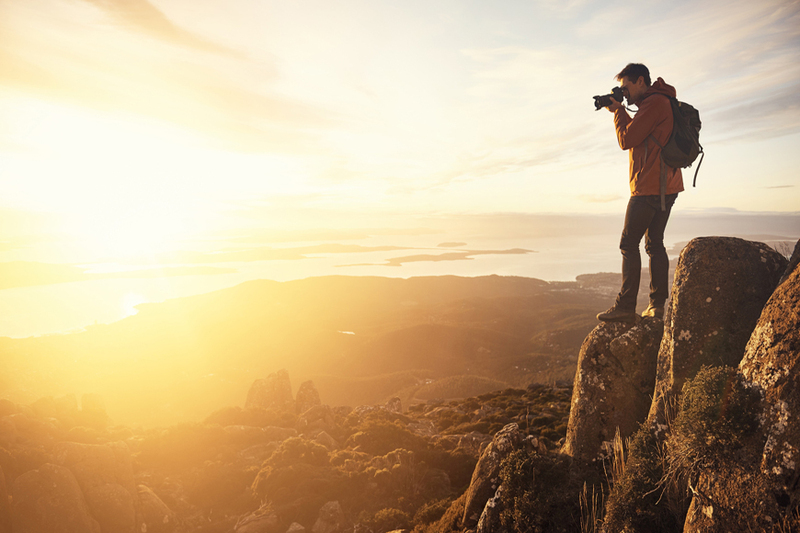 Make sure to have your cameras handy as these are bound to be picture-worthy! 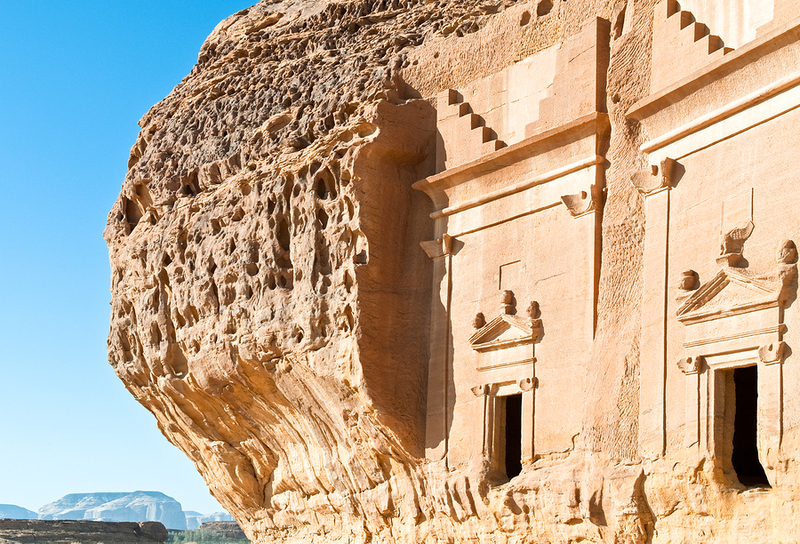 The ruined city of Madain Saleh is truly one of Saudi Arabia’s best treasures. It was declared to be the Kingdom’s first UNESCO World Heritage site in 2008. Full of history, this destination will have you exploring the tombs of the ancient Nabatean people, the Hejaz railway built by the Ottomans, an oasis, museums, a mud village, and the ruins and tombs of Khuraibah. If you’re interested in diving, this is definitely the place to be. There is an abundant marine life here, which makes diving spectacular in shallow waters. You’ll also find coastal mangroves, endangered dugongs and a herd of Arabian gazelles. You can also admire some of the traditional houses in the town built from coral with carved doorways or enjoy a swim in the private beaches. To access the island, you’ll need to go to the mainland town of Jizan and then catch a free ferry ride either at 7am or 3pm. It’s best to reserve a spot with the Seaport Authority beforehand. This area, which includes the Asir National Park, has everything from trekking and camping sites to cable cars and fascinating architecture. With cliffs, deep valleys and mountains so high they disappear amongst the clouds, it is a picturesque spot, especially when you’re enjoying the view from one of the cable cars. It’s located near Saudi Arabia’s highest peak, Jebel Soudah and about 22km west of Abha. About 700km from Riyadh, this volcanic crater has spectacular scenery, with lava fields, salt pans and an oasis. If you enjoy camping, this would be a perfect spot. Covering 2 km in diameter and cliffs reaching down 250 meters with a thick layer of white sodium phosphate crystals, this crater is the largest in the Middle East. Due to its resemblance to the Barringer Crater, many thought it was formed by a meteorite, but it has been concluded that it was by volcanic activity from an underground explosion of steam. This is one of the most popular desert treks in Riyadh. It’s a part of the 800km long Jebel Tuwaiq Escarpment and it has long edges reaching outwards from the plateau. What makes it so special is that it looks endless since there’s only a flat plain as far as you can see across the horizon. It’s definitely a must-visit place if you are in the Kingdom. A great escape for nature lovers! This mountain city is known for its roses, grapes, figs and honey, all of which blossom on its green slopes. Called the “Summer Capital” by many, it boasts mild summers and scenic views. It’s also a popular spot for trekking and mountain climbing. If you’re a history buff, this place won’t disappoint. The city was occupied by the Turkish up until 1916. Situated in the biblical city of Dedan, this is a mud-brick abandoned town made up of around 800 structures. With foundations dating back to the 13th century, all the town buildings have been rebuilt over and over throughout the years. After the new town center was established in the 20th century, the old town officially became a ghost town when the last family left in 1983. Diriyah is located about 11 km from city center and it’s divided into different quarters. The Turaif district was recognized as a UNESCO World Heritage Site in 2010 and the Ghusaiba district was the first Saudi capital up to 1683. Diriyah was also the original home of the Saudi Royal Family. Through the new Al Bujairy center, you can enjoy beautiful views of the palace, city ruins and the waterfalls. You will also find many shops, restaurants and cafés.